Tandy the Jewel Fairy needs your help! A demon has been sexting her with nasty chat messages and chasing her around the virtual worlds. She had a night-mare, caught it and rode the mare away, and is now hiding in my computer. 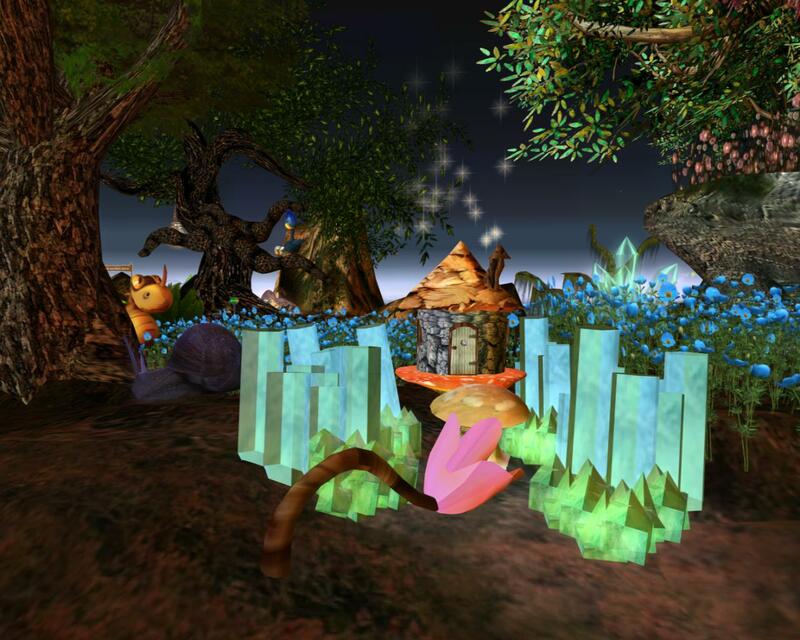 She needs an Ogre like you to rescue her from my virtual world, and bring her to yours. Tandy's quest, if you succeed, will let her appear in your virtual world, and develop magic talents in you and her so that she can protect herself. Tandy's quest is an easy adventure - you do not need to know how to script, and only basic building skills are needed, but you do have to have good camera control and to be able follow directions. Tandy can live in OpenSim, Second Life, Inworldz and many other virtual worlds, but you have to come rescue her from my Zip file. She really needs your help as she is really small.....only 1/2 meter tall! Tandy is the daughter of human man and Jewel, a tiny underground nymph. As a result, she has both a human soul and fairy magic. 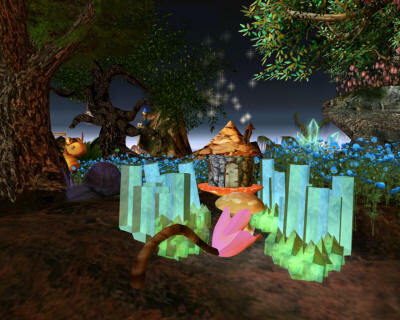 When you help Tandy finish her quest, you too can beautify all the virtual worlds by placing jewels in Second Life or Open Sim. She is also really pretty and expressive because she is a real avatar compatible with animations. 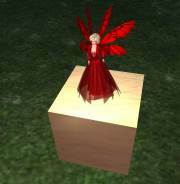 You do not need any scripting knowledge to make this tiny fairy. All scripts are included in the zip file. Tandy's soul is compatible with almost any Second Life animation and gesture, and you can use any standard texture-based skin or any clothing template on her. Because her father was human, she is a full-mesh avatar, which means she can bend and sit and wave her arms when she gets emotional. She also has color-changing wings that flap quickly and also flex, she has a magic protective bubble that appears when she is flying, and she has color-changeable clothing and wings. As a bonus, I am including a new XML-based "Fairy AO" with some sweet animations for hover, flight, and to make her walk and run with her tiny legs correctly. All these effects work in no-script zones, thanks to my famous anti-no script script. Because she is the daughter of a Jewel the nymph, she has a unique magical talent: she can throw a tantrum. She comes with a spell-casting mesh wand you can use to throw tantrums, with any avatar, too. Any other object you care to add to her, like tires, shoes, or that old Linden bicycle you got when you joined can be heaved. After your quest is done, Tandy can use this talent to defend herself from the lustful demon. She has one more impressive talent: Tandy is Open Source, free, and so you can make her and her clothing and accessories for her very easily and use them however you wish. Jewel and Tandy have travelled far and wide placing jewels everywhere for miners to dig up. So they have a lot of knowledge that will help you find and make beautiful things. When you finish your quest, you will know how to get a lot of really good, free content that most people don't seem to know about. You will discover a lot of magic while on Tandy's Quest. Magic things such as how to get free clothes and skins, how to make a magic spell, and how to make a magic wand. I have also exposed all the tricks I know on how to make an avatar, how to resize it, how to add clothing and skin layers and AO's and lots and lots of stuff! 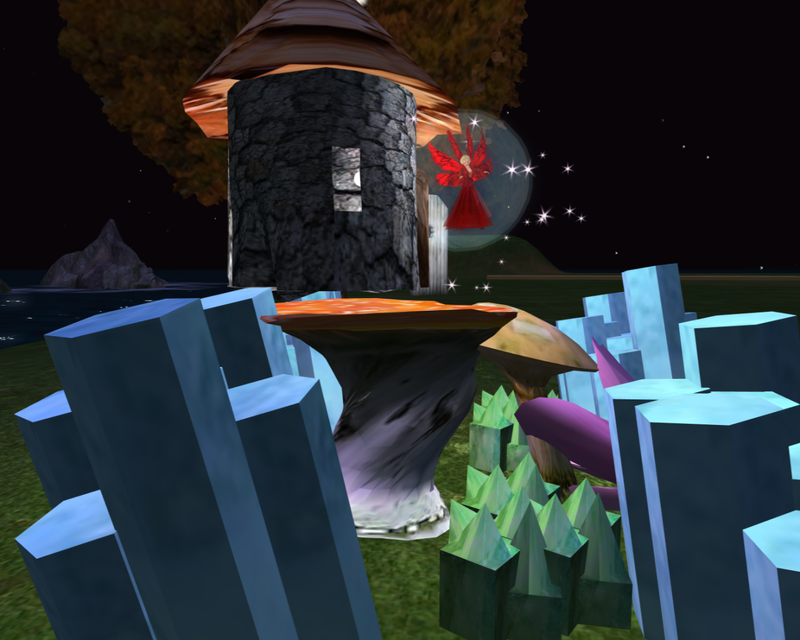 Tandy would not be possible without the wonderful efforts by Linda Kellie of http://www.lindakellie.com, Zee Pixel of the CCC Cybernetics Avatar Databank, and Eloh Elliot. I would like to thank them for their amazing contributions to the Open Source Community. Without them, this project would not have been possible. License: All my files are released as open source under the same MIT license as Eloh Eliots skins. There may be other licenses such as Creative Commons included in these file. All the items I have used are either original creations, or are licensed for any use, including commercial provided that credit is given.